Marketers have many options when it comes to online advertising. 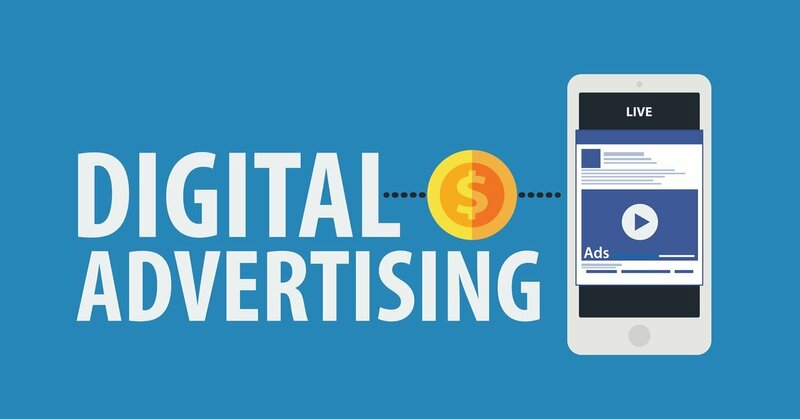 In 2019, it is estimated that over 37% of digital ad revenue in the US will go to Google. In second place is Facebook with 22%, followed by Amazon and Microsoft. These companies offer many different platforms for marketers to advertise on. 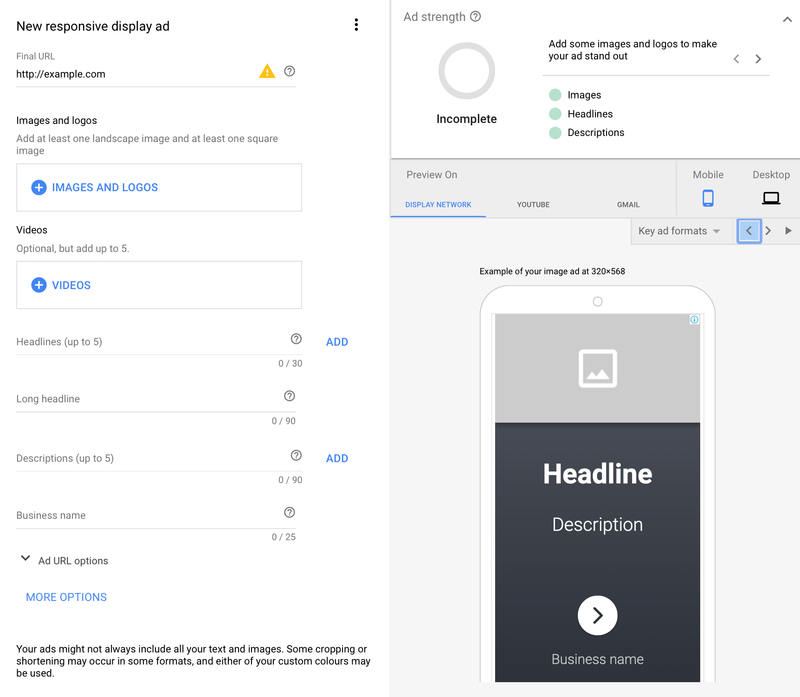 Google offers a comprehensive suite of tools called Google Ads (formerly AdWords) that includes search, display, video and app ads. In this article, we will compare the two most popular ones, search and display ads. Search and display ads are two different ways to promote your product, service or brand via Google. Search ads are the ads you see on the search results page when you look for something on Google. Googles search ads are probably the best-known form of PPC (pay-per-click) advertising. 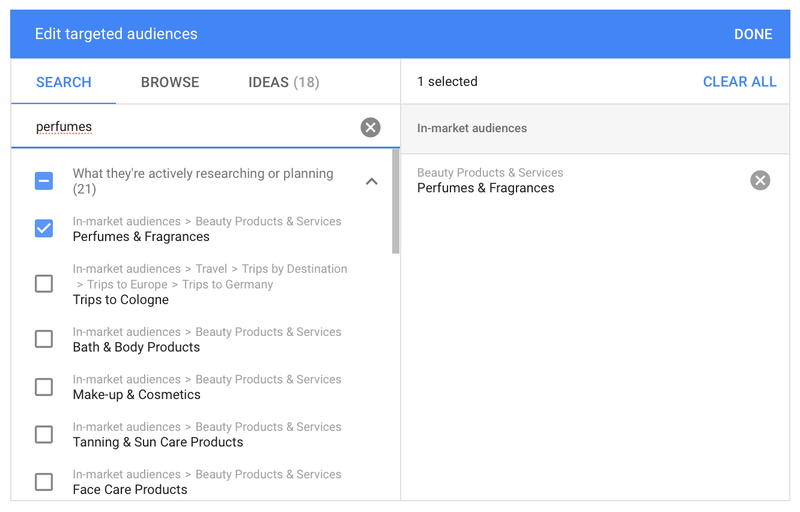 Search ads give you the option to display ads tailored to potential customers, right at the time when they search for your product or service. 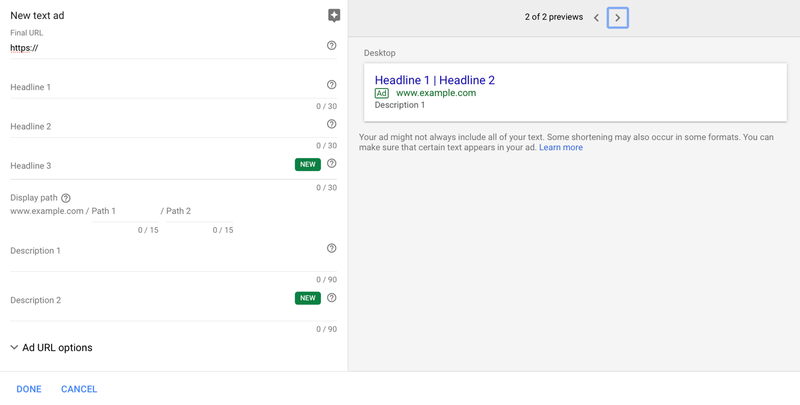 Search ads are based on text, where you can add headlines and descriptions of your product. 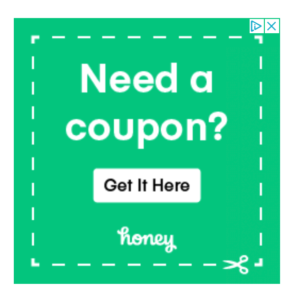 You can also add extensions to your ads, like phone number and location. Setting up a search ad. You control exactly who sees your ad based on the keywords you target, location and more. This is great if you know the words and phrases people use when searching for your product. Search advertising can be either cheap or expensive, depending on the types of keywords you target. In fact, a single click on a search ad can cost more than $50 in some cases. The most valuable keywords are for financial, legal and various business services. This should not come as a surprise. If you think about it, you should be willing to spend a lot to “get a customer in the door” if they are making a high-value transaction and are looking for a solution right now. This is exactly the case when a person searches for these types of services on Google. The example below shows search ads that target the keywords “CRM systems” — a very competitive category of enterprise services. The cost per click (CPC) for this keyword is $31.99 in the US according to data from SEMrush. Google display ads are found all over the web, even on sites that aren’t owned by Google. Display ads are on all websites that use Google AdSense, which Google offers to webmasters to help them make money from their sites. Today, these ads are displayed on over two million independent websites and blogs, as well as Google’s own services such as Gmail and YouTube. According to Google, their display ad network reaches a whopping 90% of internet users worldwide! With Google display ads, you can target customers based on all sorts of factors. These include demographics, behaviors, interests, remarketing and the topic or context of the site that displays the ads. You have control over what and who you target, but there is nothing that guarantees that people will be in the mood to take a serious look at your offer. With display ads, users will see your ad when they are casually browsing the web or reading their email. Contrary to search ads, users are not looking for anything specific when they see a display ad. This is an important distinction. Display ads are not only bound to simple image or animated gif ads that have to fit specific sizes and formats. Today, you can create responsive display ads that automatically adapt to the size of the screen. Responsive ads simplify the process of creating ads that support all sizes and ad placements. Setting up a responsive display ad. Here are two examples of Google display ads that I came across when doing my daily browsing. Bottom line: Search ads are mostly text-based and are shown in the Google search results. Display ads can have many different formats and are shown on Google’s massive display network. Display ads are good for certain purposes, such as generating brand awareness and helping you target people who visited your site before. Display ads are great at creating awareness for your brand because they can be placed where potential customers might be. If we compare this to the material world, think of display ads as the online equivalent of billboards or other out-of-home advertising, except with the advantage of having much better targeting. For example, if you have a great display ad for your brand of perfumes, you could show that ad to people who are likely to be in the market for that type of product. The most effective way to do this is to use in-market audience targeting. Then Google will use data it has to target your ads to potential buyers. The downside is the possibility of your ads being interruptive. Although customers might be interested in perfumes or fragrances, they might not be in the mood at that moment and see your ads as obtrusive. Even if you are just looking to get more brand awareness, you still want to target the audiences that are most likely to benefit from knowing about your brand. Display ads can be great for retargeting. Let’s say a customer visits your site and sees your offer but doesn’t finish a transaction. With retargeting, you can pull customers back to your site with ads that remind them of your offer. You can target them with clear calls to action to try to convince them to buy. Setting up remarketing ads is fairly simple. You can either set it up by installing the Google Ads tag on your website or by using Google Analytics. It is also possible to use retargeting with search ads, but this is not as common because search ads are limited to specific keywords that people type into Google. You can expect a high return on investment with display ads for certain product categories. For example, display ads can be a great option if you need to demonstrate a product visually. Examples include events, consumer products, movies or videogames. Bottom line: Display ads allow for a lot of flexibility. They can work better than search ads if your goal is to increase brand awareness or run retargeting ads. Search ads are particularly effective for certain purposes, including for targeting people who are looking for a specific product or service. If you want to reach customers that are actively searching for products or services related to your business, then you will find more success with search ads compared to display ads. As long as your keywords match what your buyers are searching for, you can put your ads in front of customers that are further along in their decision making. This type of customer is often referred to as a qualified lead. When people look for something online, they want to find what they are looking for, right there and then. 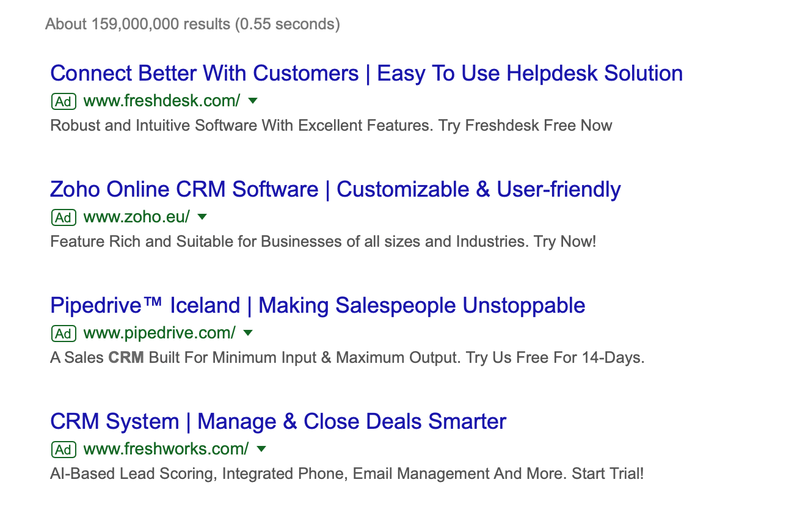 Search ads allow you to put the right ads in front of your customers at exactly the right time, making them much more likely to click on your ads and convert. Click-through rates (CTR) are 3.17% for search ads and 0.46% for display ads. Conversion rates are 3.75% for search ads compared to 0.77% for display ads. If you have done your keyword research and find that people are actively looking for what you offer, it is a no-brainer to target those people with search ads. It is also likely that your competitors will be doing the same. In that case, you might lose market share to them if you don’t advertise. If you are on a budget or taking your first steps in advertising on Google, most would recommend that you start out with a search ad campaign. Search ads are generally more likely to convert potential customers and drive actual sales, resulting in a higher return on investment (ROI). But keep in mind that your results may vary depending on what you are offering and your end goal. Once you get more experienced with search ads, it could make sense for you to try venturing into display ads. But you should only do so if it suits your goals. Bottom line: Use search ads if you want to reach active buyers that are searching for your product or service. Click-through and conversion rates are much higher for search ads. Using both search and display ads is sometimes the best way to go. By using both search and display ads, you can reach customers wherever they are on their buyer’s journey. This way you can craft different messages for brand awareness or actual conversions, matching where your potential customers are. Just remember to use separate campaigns for different types of ad formats. It will make monitoring metrics and comparing results much easier. Bottom Line: It may give you the best results to use both search and display ads. Then you can target potential customers wherever they are in their decision-making process. Knowing your business and customers will help you decide whether to use search or display ads. If you want to be in the right place when people search for what you offer, search ads should be your choice. If you want to get your name out there and reach customers that are further from making a purchase decision, you should definitely consider display ads. Whether you decide to use search ads, display ads, or both, you need to make sure to monitor your results. Don’t be afraid to make changes and create new ads to see what performs best and drives results. The only way to figure out what truly resonates with your customers is by analyzing the data and comparing results!